In the Library, there are tonnes of books (obvious, much): from reference books to novels, encyclopedias and anthologies, it pretty much covers every genre under the sun. Though in the school, we have over 13,000 books, it is a modest sum to manage; nevertheless, it is still a daunting task to manage it all, and keep the Library well-managed. In a previous post, I have talked about the usage of the Dewey Decimal System in the Library. Now, that system by itself is quite a way to arrange books, but let's say someone wants to borrow a book. How is anyone going to know that it belongs to the Library? Well then, we have a myriad of stamps to serve that purpose, and all in the delightful shade of blue! 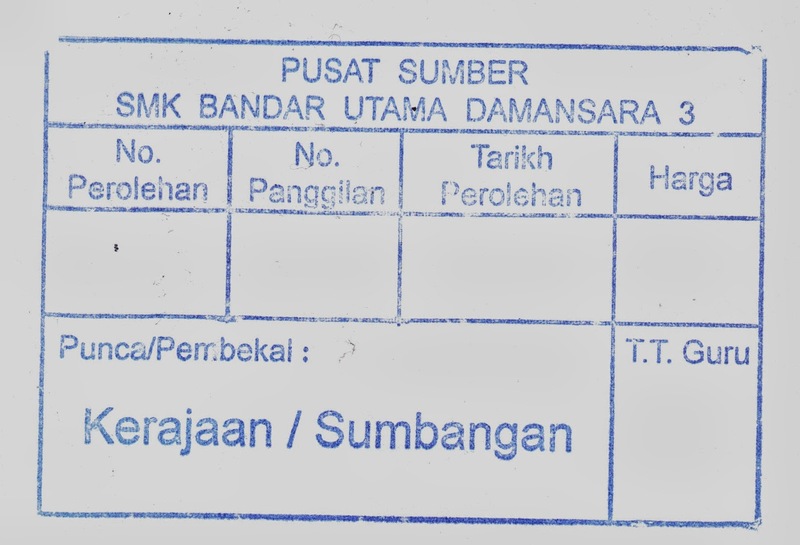 First up, we have the information stamp. 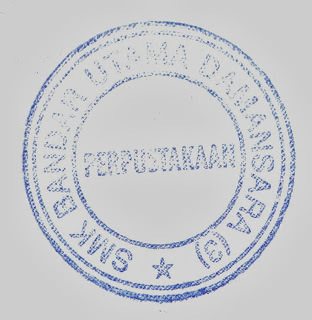 This stamp is the very first stamp any Library book would receive. Amongst us Librarians, it's colloquially called the 'BIG stamp' (emphasis on the BIG) due to its large size relative to the other stamps. It displays its identification, and makes it easier for Librarians in the Inventory Subunit to key in the information into the Library inventory. It displays its acquisition number, call number, date of acquisition, price, source and signature of approval. It is usually found at the front free end paper, but it could simply be stamped on the first page. 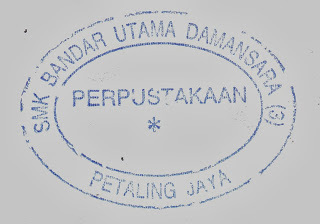 With this stamp, one could tell the book's history in the library, and the value it adds to the wide range of reads. Secondly, we go to the side stamps. 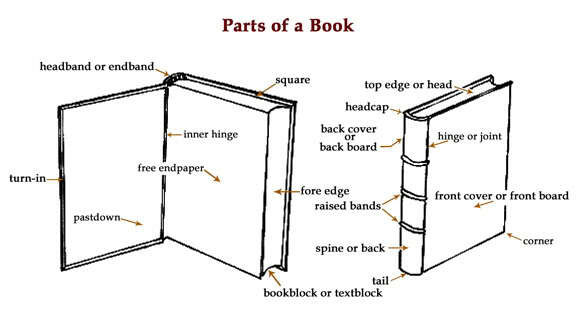 As the name implies, it is found on the three sides of the book, to tell anyone that the book belongs to the Library without having to open the book. 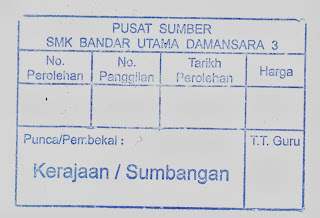 Amongst us Librarians, it's simply and colloquially known as the 'SMKBU3 stamp' due to its appearance: a simple rectangle surrounding the initials of our somewhat long school's name (SMK Bandar Utama Damansara (3) if you wanted to know). Third to come is the oval stamp. Like what its name implies, it is an oval bearing the word 'Library' framed by a oval ring bearing the school's name and the city's name. It is found on both free end papers, or simply the first and last pages of a book. It declares irrevocably that the book is the property of the Library. Its usage is not limited just to books, but it is also stamped on newspapers and magazines, on the first, last and middle pages to claim it as Library property. 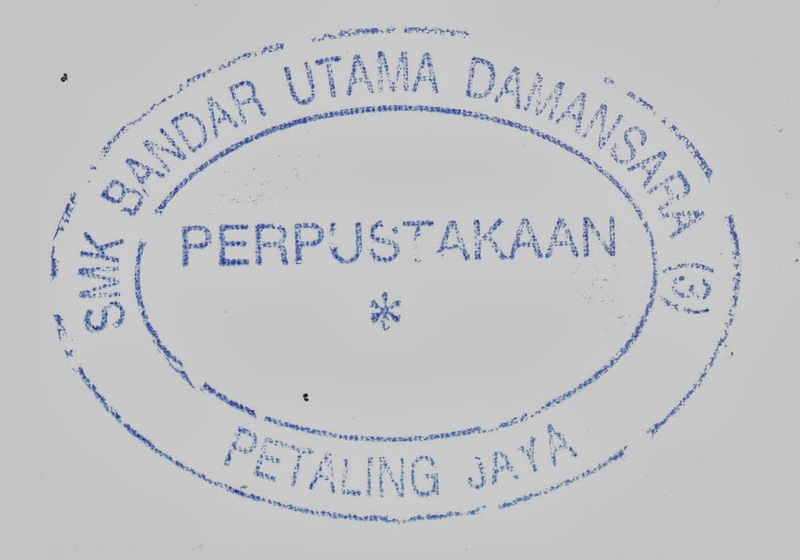 Fourthly, the round stamp. Basically, it's the round version of the oval stamp, but it's usage is mainly for the non-book materials (such as compact discs, maps, and charts) in the Library. Besides that, it is also the seal of the Library, marking approvals and official recognitions. Fifth stamp to go, and we are at the secret stamp. Omniously saying that the book is Library property, it's location is secret and classified information, limited only to Librarians and those under probation. Mysterious, isn't it. Well, the next time you read a Library book, look out for this stamp! Sixth up is the date stamp. While the first five are only stamped during inventory processing, this stamp is only stamped when a book is borrowed. It states the latest date of return, after which we get money! :P the borrower has to pay a fine according to the tariff set. 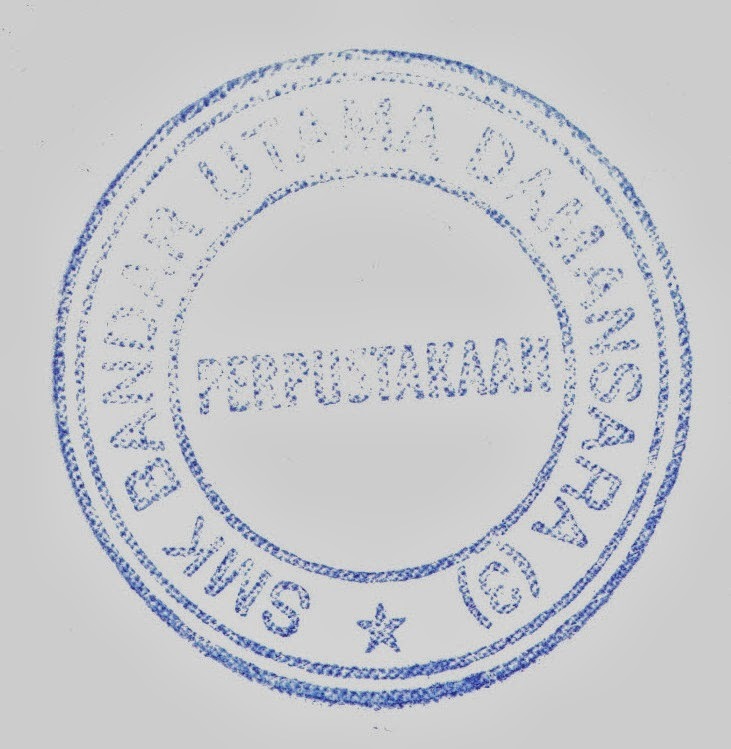 This stamp is usually found on a special slip of paper taped to the front free end paper, or the first page. Hence, you can actually track how many times the book has been borrowed, and the duration of the borrowings! Some books in the Library are so popular, that it has two slips filled with date stamps! Seventh, and final stamp for today is the return stamp. Declaring that the book is returned to the Library, it is stamped over the stamp declaring the book's last date of return, and closes up the case. Humble it may seem (and not visible most of the time, due to the fact that it is stamped over something), it has an important role nevertheless, stating that the book has been cleared on the S-Lib system and available to be borrowed once again. With this modest army of seven stamps keeping over 13,000 books in check, the Library can function seamlessly and efficiently. Thus, next time you pick up a book, spot these stamps and be sure to know how important they are in getting the Library to serve you better.